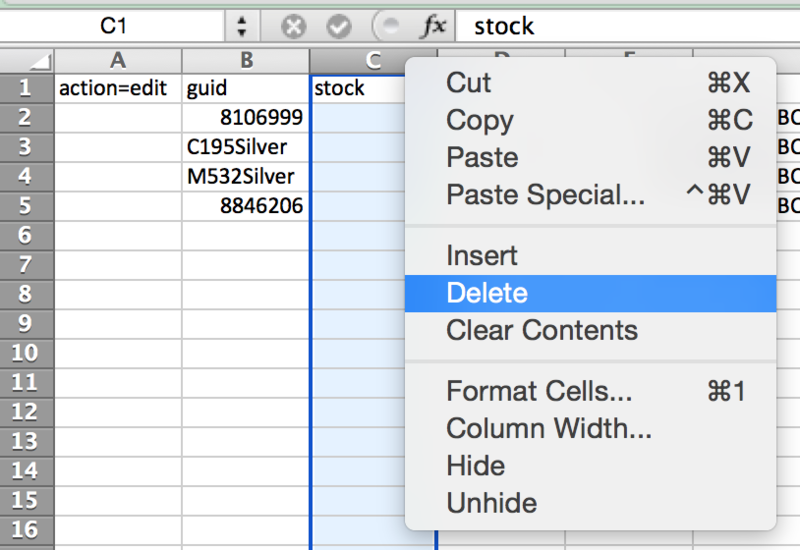 This guide will show you the basics of how to edit your existing inventory using Bulk Spreadsheets. The following guide will then show you how to upload those files into the system. You can create these files from scratch if you know the GUID and the information you are trying to change, but it’s often easier to just use a bulk export of your inventory. If you missed the guide on how to Bulk Export you data - check it out here. In this example we’re going to edit four products. 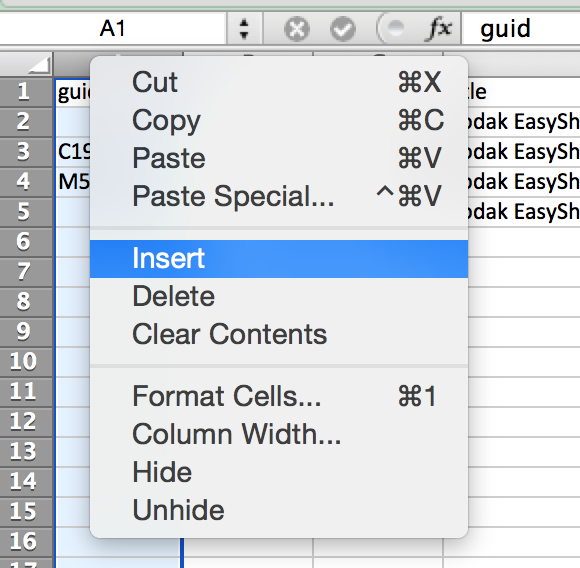 Tip: you can save information in your spreadsheet by using invalid headers (e.g. oldprice) - the system will ignore them, but it’s a good way to store the information for reference. 6. Delete any headers you are not looking to edit - this will help minimize errors. 7. Save the file as a .csv and it’s ready for upload! (We’ll cover that in the next guide). Remember to only upload the headers you are looking to edit. You should delete all the others. For example, if you exported the title so you could easily see which products you are editing, delete the title column before uploading to prevent errors. This is especially important with stock, which may have changed since you've exported, if you’ve made any recent sales. Invalid headers will be ignored. This allows you to store extra information for reference should you need to go back and check an old upload. It also makes it extremely import that you spell the headers correctly. A warning will display when you upload the file telling you which headers were ignored. For the next lesson, make sure to check out the guide on Uploading a Bulk File.